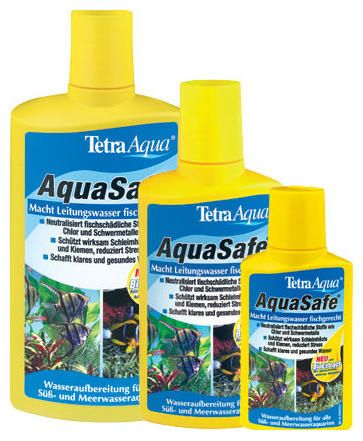 Tetra Aquasafe is a beneficial solution that can used to adjust the balance of standard tap water, thereby ensuring the aquarium fishes' protective mucus membrane is maintained whilst eliminating harmful chemicals such as nitrite and chlorine. 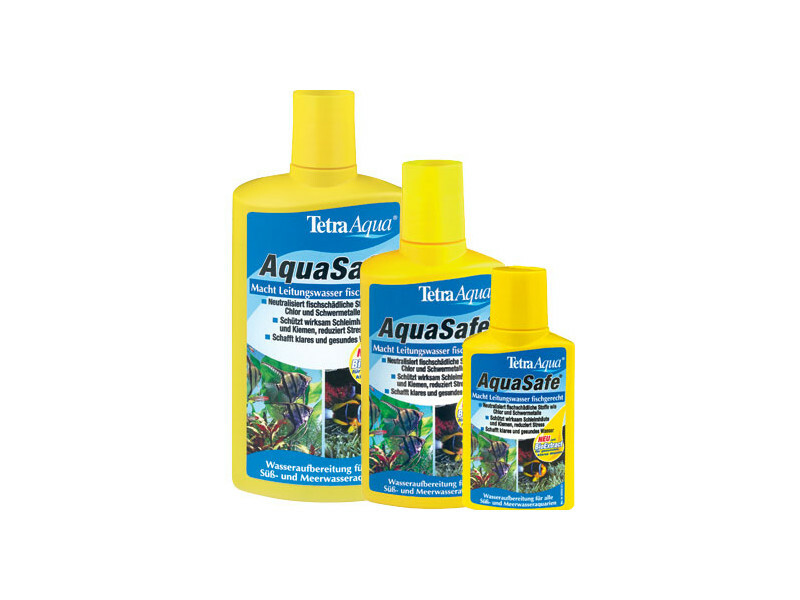 Aquasafe will also replace the water with the beneficial properties of iodine, vitamin B and magnesium, helping to improve the health and condition of your fish. There are currently no questions for Tetra Aquasafe Aquarium Treatment - be the first to ask one!